New DNA-based research provides compelling evidence that a group of strange-looking fish living near the mouth of the Congo River are evolving due to the intense hydraulics of the river's rapids and deep canyons. The study, led by scientists at the American Museum of Natural History, the City University of New York, and Fordham University, reveals that fishes in this part of the river live in "neighborhoods" that are separated from one another by the waters' turbulent flow. In some cases, the researchers found that fishes living less than a mile away from their relatives are actually exchanging very few genes. Many represent distinct species, according to the new study now out in the journal Molecular Ecology. "In this very short section of the Congo, we find a tremendous diversity of fishes," said Melanie Stiassny, Axelrod Research Curator in the Museum's Department of Ichthyology and an author on the study. "We also know that this part of the river is relatively young, originating only about 3 to 5 million years ago. So what is it about this system that makes it such a pump for species?" For the last 10 years, Stiassny and her colleagues, including hydrologists and geologists, have studied the lower Congo River—the final 200-mile stretch of the freshwater river before it empties into the Atlantic Ocean. Exceptional in depth, speed, and turbulence, the lower Congo is home to the world's most extreme rapids. The region is also remarkable for its biodiversity; scientists have identified more than 300 species of fish living there. 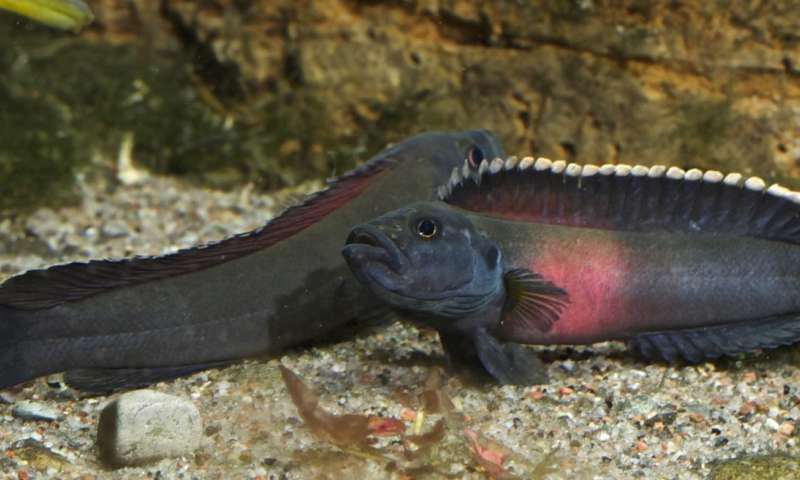 "The genetic separation between these fishes show that the rapids are working as strong barriers, keeping them apart," said lead author Elizabeth Alter, from The City University of New York's Graduate Center and York College. "What's particularly unique about the lower Congo is that this diversification is happening over extremely small spatial scales, over distances as small as 1.5 kilometers. There is no other river like it." "Activity like that would majorly interrupt the evolutionary potential of this system," Stiassny said. Jason Munshi-South, from Fordham University, was also an author on this paper.